Chrome holder only, the stanchion must be ordered separately. 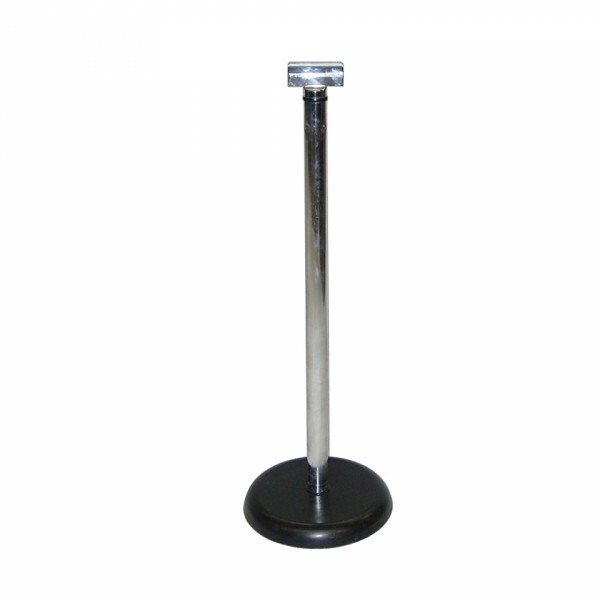 This holder can only be used with the Crowd Contol Stanchions that use the velvet ropes. Holder Dimensions : 45mm high x 100mm wide x 5mm gap. Ideal for : Informing, directing, communicating or promoting your products. Get your message across clearly and effectively with this card holder. It slips easily into the top of the crowd control pole for quick and easy display. 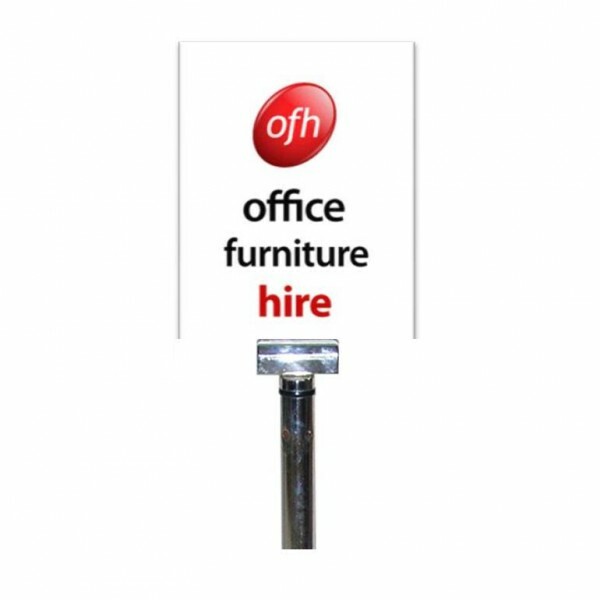 * signage supplied by hirer.